UCAOA Industry Perspectives - Practice EHR discusses net benefits of telemedicine for Urgent Care Centers. Telemedicine is becoming the new norm for giving and receiving care. Today’s patients are more connected than ever before and 64 percent of Americans report they would seek care via telemedicine, according to an American Well telehealth survey. In its early stages, telemedicine seemed like another on-demand solution taking patients away from urgent care centers (UCCs). Today, urgent cares are realizing the benefits of integrating telemedicine into their operations, such as better flexibility, accessibility and in some cases, better patient satisfaction and outcomes. 1. Increase the number of patients you see each day. Telemedicine helps you work more efficiently and see more patients in less time. A virtual visit takes less time than an in person visit, allowing your urgent care to increase the number of patients seen in a day, without having to extend office hours. For example, a clinic with three providers that completes two virtual visits per day, at an average reimbursement of $50, will earn $109,500 in additional revenue in just one year. For UCCs who do feel the need to provide extended office hours, telemedicine is a feasible and cost-effective solution when you have a cloud-based electronic health record (EHR) with integrated telemedicine capabilities. Consider virtual extended hours, where a patient can be seen via a virtual visit conducted by a remote on-call physician. This idea eliminates in-person visits during extended hours, which keeps costs low, drives revenue for your clinic and at the same time provides better accessibility for patients who may be in need during those off hours. 2. Better allocate your resources. Today, consumers have more options than ever before when it comes to their care. Long wait times can result in low patient satisfaction and fewer patients. If your clinic is experiencing long wait times, consider how you can incorporate telemedicine for services that don’t require an in-person visit, like for the flu or an emergency medication refill. Providing virtual visits for these scenarios is a much more efficient and cost-effective way for your patients and your clinic. Telemedicine can also help multi-location UCCs balance their patient volumes and wait times, without having to spend money on additional resources. The Journal of Urgent Care Medicine cited an example of an urgent care that decreased patient wait times and increased patient satisfaction by equipping facilities with telemedicine capabilities in two locations. In other words, UCCs can leverage providers in lower-traffic locations to conduct virtual visits immediately and remotely for patients who are waiting to be seen at the busier location. In addition to load balancing, telemedicine can easily enable UCCs to reach a larger pool of patients to generate more revenue. Urgent cares who use telemedicine can expand their services to reach patients across one state or multiple, instead of being limited to patients who only live within a 3-5 mile radius. 4. Achieve a competitive advantage. Research from Accenture indicates patients want a better healthcare experience and they are leveraging technology, such as telemedicine, to do so. However, the same research also suggests patient demands for virtual care options are outpacing what’s currently available. This provides significant opportunity for urgent cares. UCCs were the catalysts for convenient, on-demand healthcare; those who continue to evolve with their patients will successfully differentiate themselves in today’s competitive healthcare market. To continue to lead in the on-demand market, urgent care centers will need to adopt technology, like telemedicine to meet patient expectations. The good news is telemedicine is a smart investment that can result in improved efficiency, patient care, cost-savings, revenue and more. Incorporating telemedicine into your UCC isn’t difficult, and there are affordable, telemedicine solutions on the market today. UCCs that incorporate telemedicine, have a lot to gain and very little to lose. 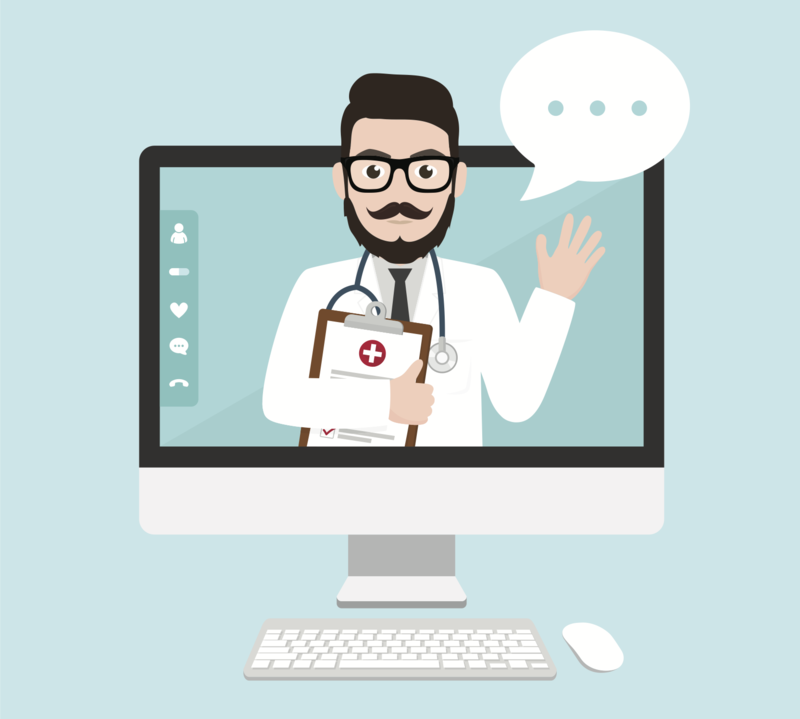 Is it time to consider telemedicine for your urgent care? Read our original post on UCAOA.org.